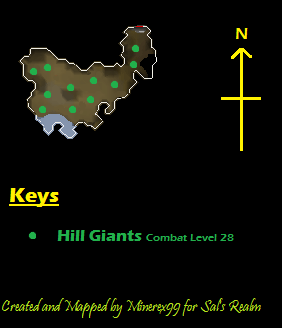 The Edgeville Dungeon Hill Giants Resource Dungeon is a resource dungeon which is home to 11 Hill Giants and four Limpwurt Root spawns. 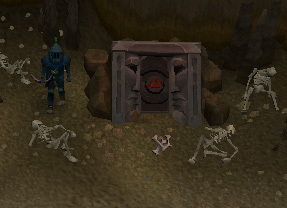 It is located at the farthest end of the Edgeville Dungeon and requires level 20 Dungeoneering to enter. It is recommend to use the Brass Key to enter the dungeon. 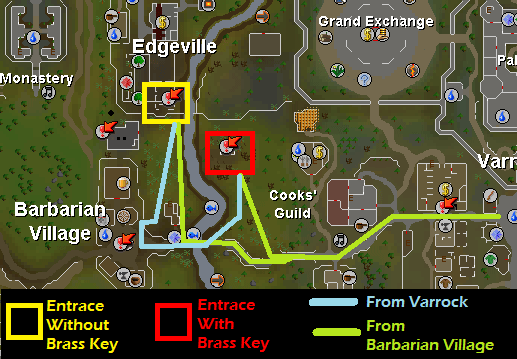 It saves time since you don't need to pass through the maze of passages when using the north entrance. If this is your first time, you could go in through the north entrance and traverse the dungeon until you reach the area with Hobgoblins to grab the Brass key. Alternatively, you can buy the key through the Grand Exchange. If you have a low combat level, you should try running past the Hill Giants outside. Make your way south until you reach the entrance of the resource dungeon. Now click the entrance portal and you will be teleported to the resource dungeon. 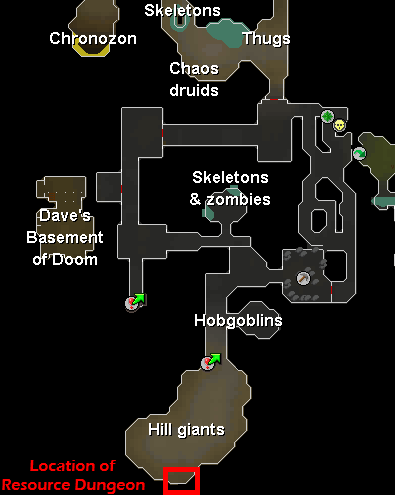 If this is your first time here, you will earn 1,600 Dungeoneering experience. The resource dungeon offers 11 Hill Giants and four Limpwurt Root respawns. It is a very good place for freeplayers to train and earn money. Collect the Big Bones and Limpwurt Roots and sell them for a profit.